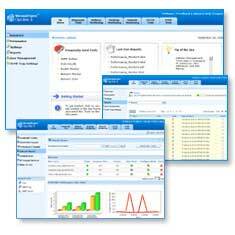 ManageEngine OpUtils is an affordable, ready to use real-time monitoring toolset geared to help engineers monitor, diagnose and troubleshoot their IT resources. With a set of 30+ tools consisting of network diagnostics, address monitoring, desktop monitoring, network monitoring, Cisco and SNMP tools, OpUtils complements existing management tools by providing troubleshooting and real-time monitoring capabilities. It has cross-platform support for both Windows and Linux systems. Reg. No: 2716629. Reg. office: 5 The Colonnades, London Road, Pulborough, West Sussex. RH20 1AS. VAT No. 587 8287 67. ©1992-, Networks Unlimited. All rights reserved.